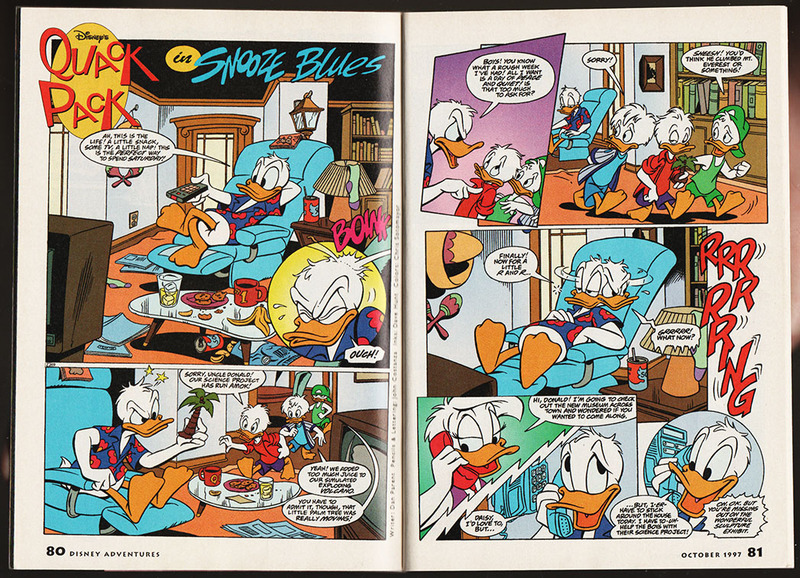 Anyone remember Quack Pack, the animated series from the 90’s? What about the comics based on the series? Well, I think only one single story was ever published! But I wonder if more were made and published somewhere in the world. Please let me know if that is the case. 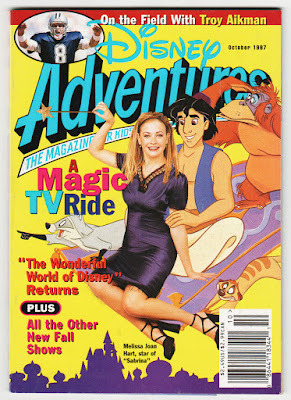 The only comic story I know of got published in the American Disney Adventures magazine, October 1997. It’s called "Snooze Blues" and is only 4 pages long. It’s not much of a story really. It’s like a one-page gag story that needs four pages to be told. 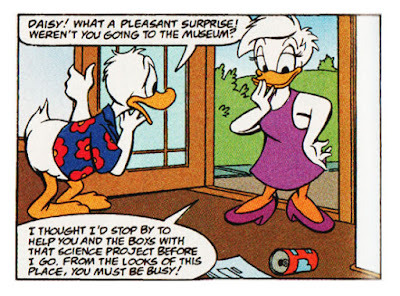 Donald wants peace and quiet, Daisy wants to go to a museum with him, and the boys have a science project. 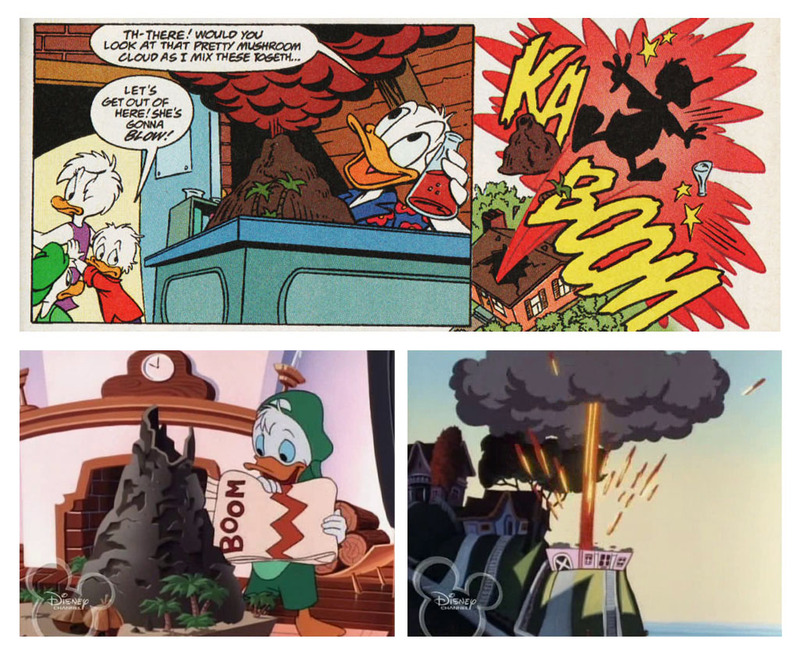 And kaboom, Donald ends up in the hospital. The story is not based directly off any episodes in the animated series, but the idea about the erupting volcano is from "The Germinator", episode 8 in the series. 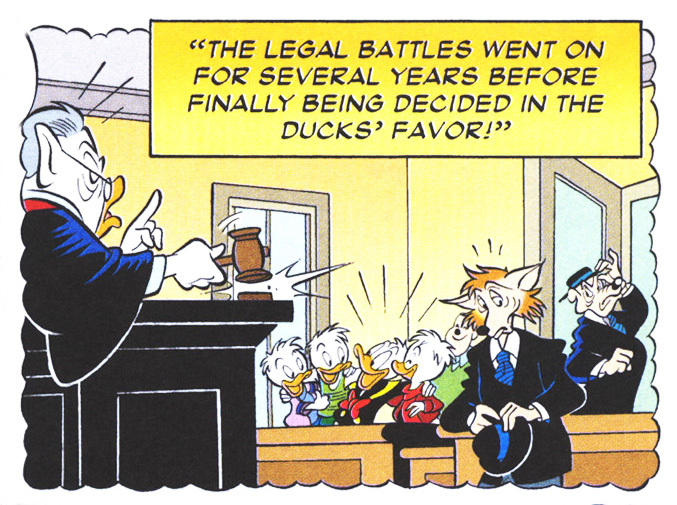 We don’t get to know much about the Quack Pack version of the characters in this story, but the visual differences are easy to spot. Donald has exchanged his sailor suit with a hip Hawaiian shirt, and Daisy got rid of her hair bow and has a more modern look. Huey, Dewey, and Louie have grown up to be teenagers and are visually distinct without their colored caps. But they still use red, blue and green clothes. In the animation they also have different personalities and they are often two against one (but all friends in the end). 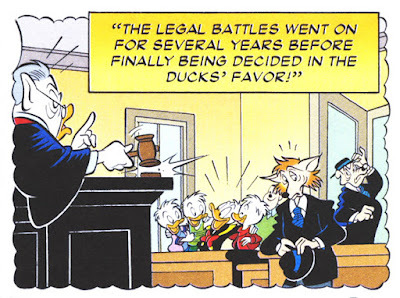 Another thing that is different in Quack Pack compared to what we are used to in the Duck universe is the use of humans. There are no dog faced people in this series; they are all drawn like real humans. We can see this in the last panel of the comic story too. As I said in the beginning, I think this is the only Quack Pack story ever published. But I spotted something that might be a hidden "Quack Pack #1" reference in the story. Donald’s coffee cup has the number 1 written on one side, and Q on the other side. If that means this is story #1, I wonder if they planned on making more. 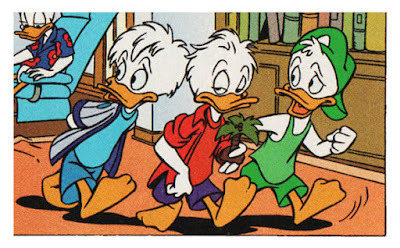 Even if this is the only Quack Pack comic story, the boys appeared in their Quack Pack look in another story too. 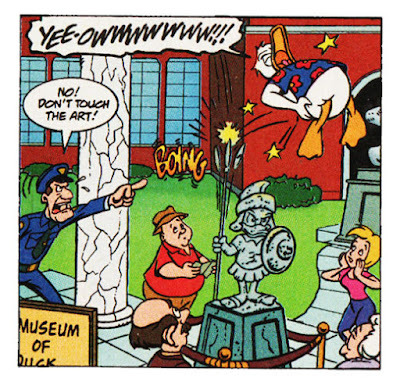 That happened in "Whatever Happened To Scrooge McDuck?" (Walt Disney Treasures: Uncle Scrooge (2008)) where we got a look into the future. 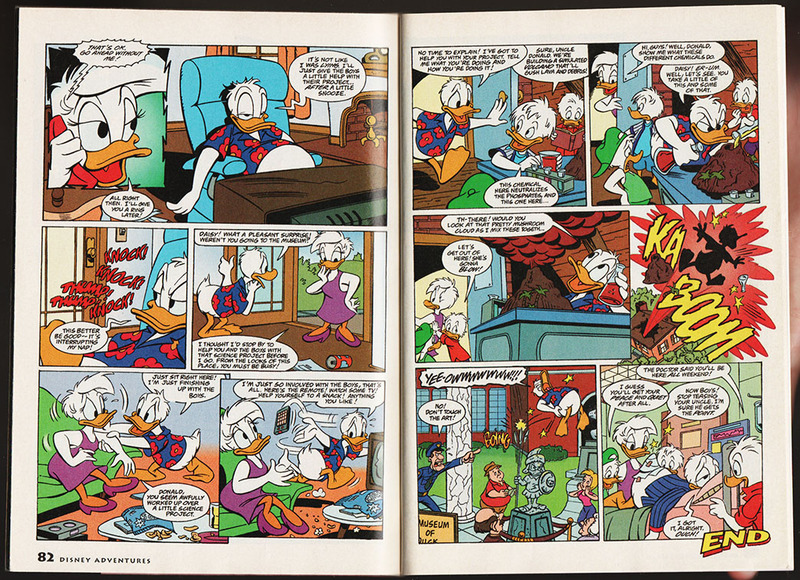 From D 2005-070, "Whatever Happened To Scrooge McDuck?"